Olivella’s, Dallas’ rustic Italian restaurant and pizzeria that is widely recognized for its Neapolitan pizza and Roman-style pizza, is introducing a new pizza truck. 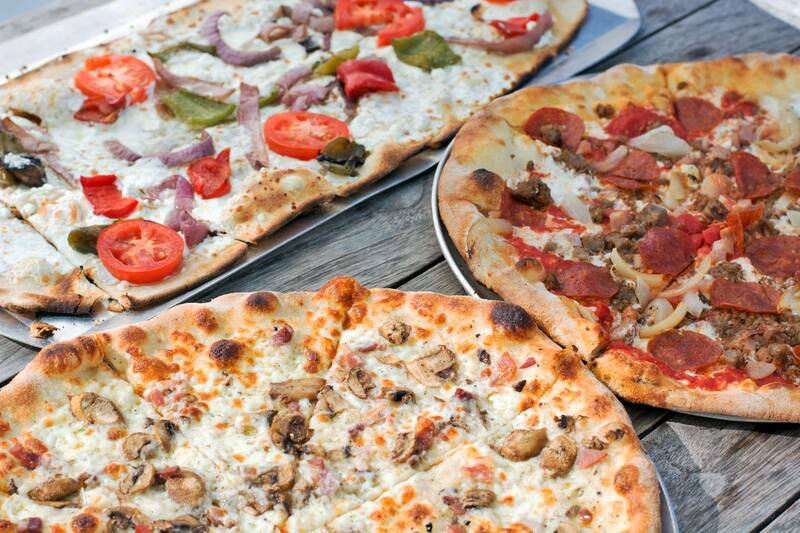 The restaurant that brought Dallas one of its first wood-burning pizza ovens will now offer fried pizza and other Naples street food staples from its pizza truck. The pizza truck will debut September 12, 2015 at Southern Methodist University when Olivella’s assumes the role of official pizza concessionaire of SMU athletics. The selections will vary day-to-day, but will include an assortment of Olivella’s’ favorites like Margherita and Black Truffle pizza as well as several new items, some of which will only be available from the pizza truck. The move to offer this third pizza style is reflective of Olivella’s extensive pizza history and early Neapolitan roots and a way for the restaurant to introduce old-World Italian street food to Texas. Frying the dough locks in moisture, which brings out unique flavors and produces a crust similar to a VPN-style pizza. Each of the pizza truck menu items are designed by Salvatore Olivella, the great-grandson of the founder of Trianon in Naples, Italy and of the third oldest pizza family from Naples. One of the highlights from the pizza truck menu includes the new Big Formaggi fried pizza, a blend of Olivella’s’ house-made and imported Italian cheeses. The balance of the acidity and creamy texture creates a delectable taste. The new truck menu will also introduce Arancini, a traditional Italian afternoon snack made with balled risotto fried with bread crumbs and served with a house-made garlic dipping sauce; Zeppole, a rustic Italian treat made with fried dough sprinkled with sugar and served with a Nutella dipping sauce; and Chocolate Salami, chocolate rolled up in a salami-like tube with various texture-adding ingredients embedded – it is served sliced with mascarpone on top. The Chocolate Salami is a tempered, perfect ending to a meal for chocolate lovers. As the official pizza concessionaire of SMU athletics, the pizza truck will be at home basketball and football games and many other sporting events starting September 12 at SMU’s game.